Well, last Sunday I was going to try to at least put a *dent* in reorganizing my supplies. I must sadly report that I didn't get much accomplished. 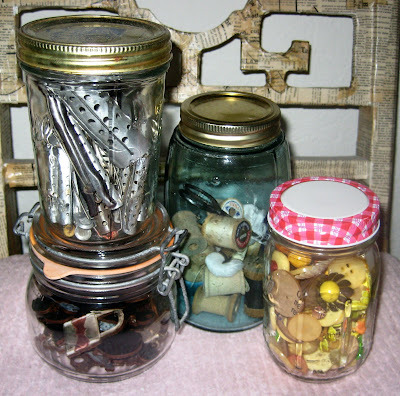 Who knew it could take hours just to sift through and organize JARS of stuff?! 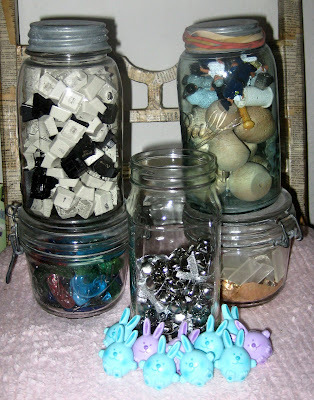 and more jars . . .
SHEESH! I have no idea where to put these *#)_@ bunny rings! And guess WHAT? This is only the tip of the iceberg. I just got so tired I couldn't do another jar!! The chair that I used as a prop to photograph the jars on, is a chair I picked up at the Goodwill some time ago for a couple of bucks. 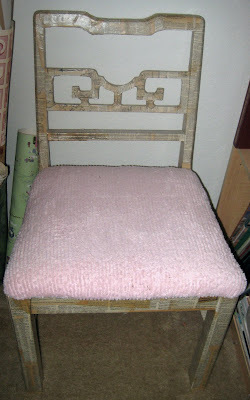 I re-covered the seat with pink chenille fabric and collaged the chair with vintage book pages and some dress pattern tissue. I used Diamond Glaze to seal the papers. 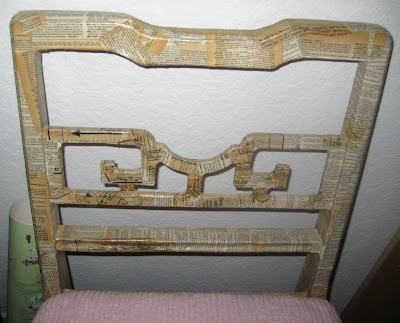 I worked on this chair from the side of my bed during a bad bout with diverticulitis awhile back. It helped take my mind off the pain for a few days. 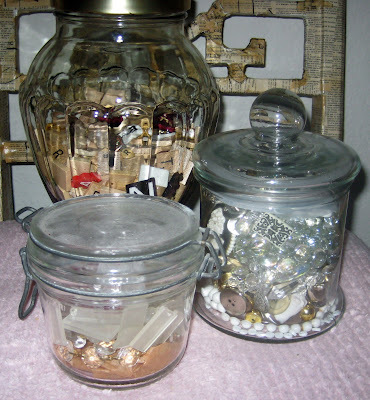 I, too, am a jar whore. 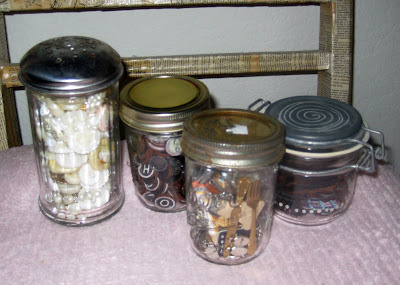 In fact, a few weeks ago, I bought three boxes full of old jars at the thrift. For $3.75. I nearly peed myself. 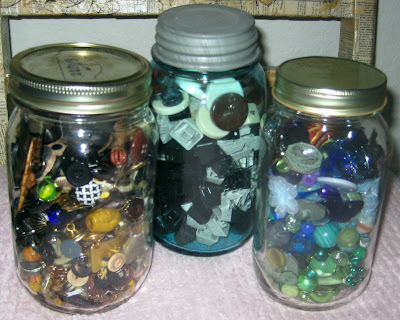 The wonderful world of jars - yes, I live there, too. That chair is really cool - you did that while you were sick? Holy moly!! You're good!! Yep, it took my mind off the pain!